Since 2017, Danielle Hale has directed realtor.com®’s team of top analysts and economists in developing and translating real estate trend data into consumer and industry insights. 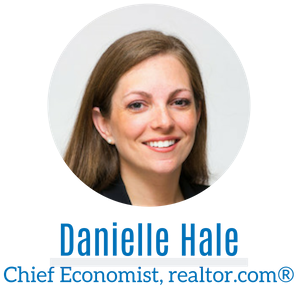 Prior to realtor.com®, Danielle spent nearly a decade at the National Association of REALTORS®, overseeing the production of housing market data, as well as research projects investigating the impact federal, state and local policies have on the real estate market. Danielle kicked off Market Outlook, speaking about the state of the housing in Chicago and nationwide; housing market trends to watch; key economic drivers and demographic shifts in the market.